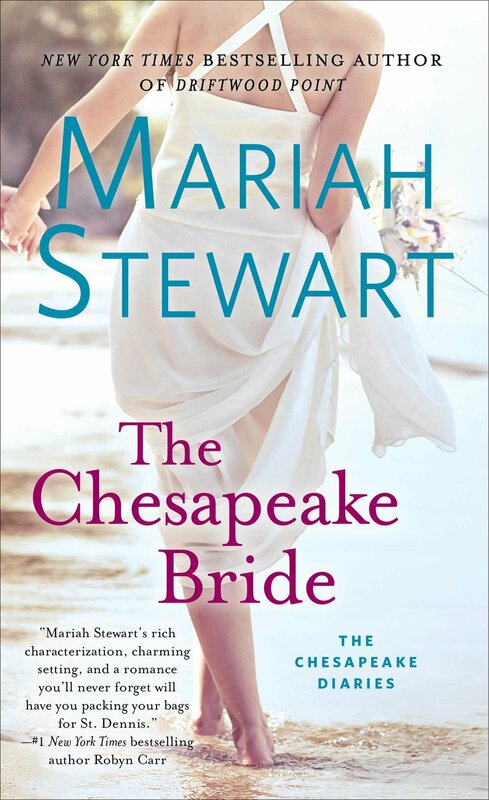 The Chesapeake Bride is another fun yet warmful romance that will bring the reader home. Four stars. We’re celebrating The Chesapeake Bride and Summer 2017 with one giveaway for Driftwood Point, 10th in The Chesapeake Diaries Series by Mariah Stewart! The last day for entries will be Friday, September 22nd (the official last day of summer!) The winner will receive one copy of Driftwood Point. U.S. only, please. And please leave your name and email in the comment section to be selected. Also, follow us on Facebook and Twitter. Look for Gallery Books’ second installment in Mariah Stewart’s all-new trade original women's fiction series, The Hudson Sisters, following a trio of reluctant sisters as they set out to fulfill their father's dying wish—and discover themselves in the process. Book 2,The Sugarhouse Blues, will publish March 2018!